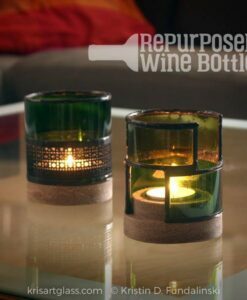 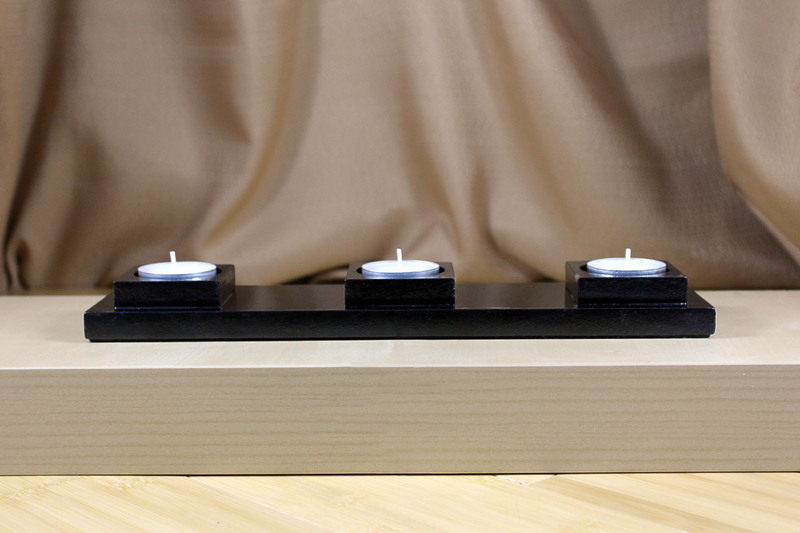 These candle holder bases features a hole for your tea light to sit in and felt on the bottom. 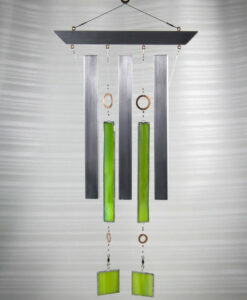 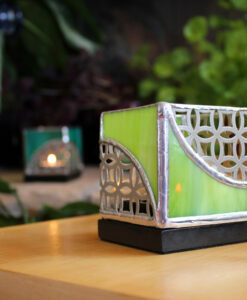 It can be used with our without Kris Art Glass 3×3 or 3×6 Stained Glass tops. 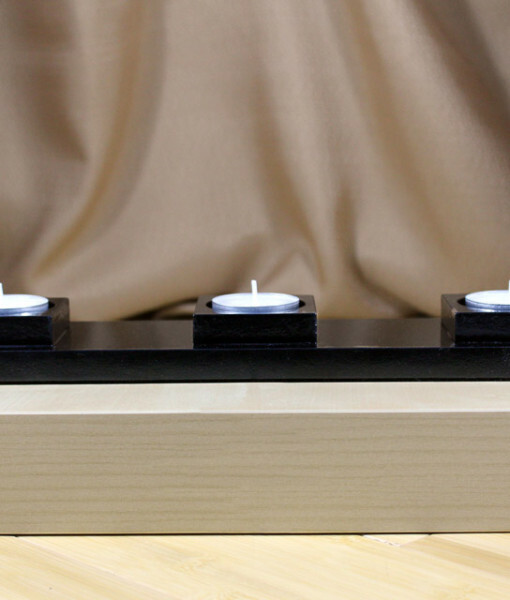 The tops can be easily taken off, which provides easy access to light and change out your tea light candles. 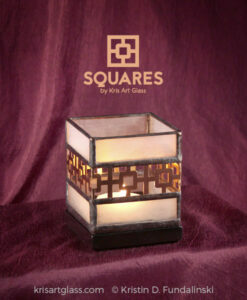 SKU: KF-BAS. 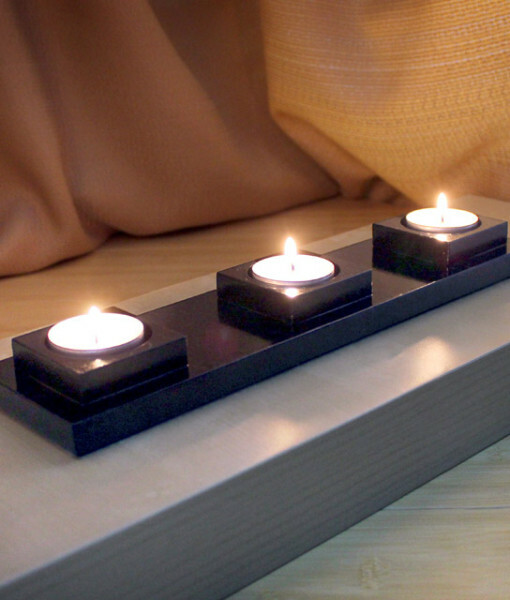 Categories: Bases, Glass Candle Holders. 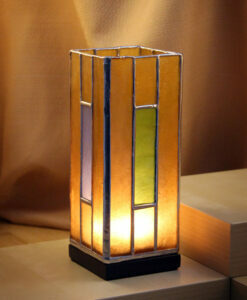 Tags: candle holder, stained glass, tea light. 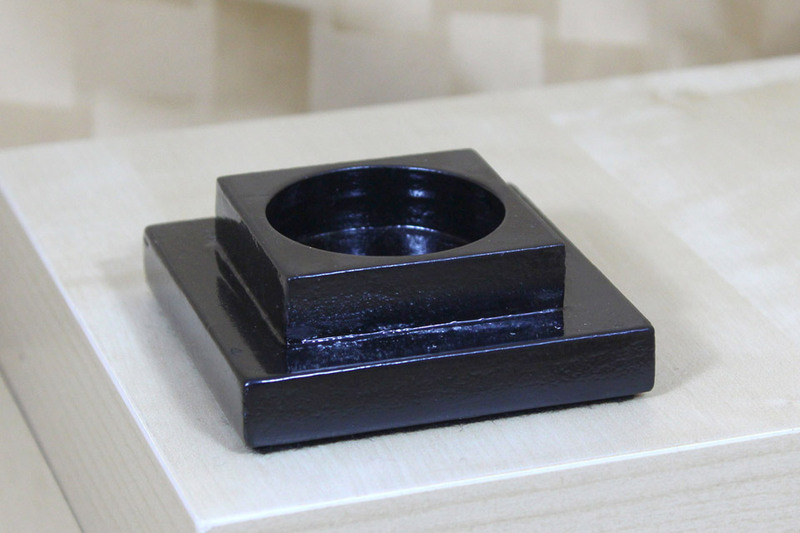 The 3×12 base lets you mix and match your favorite tops. 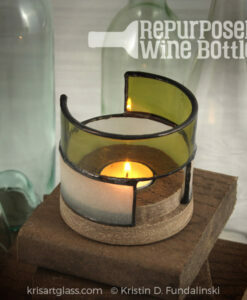 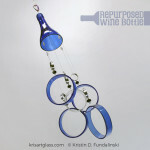 Place only one top in the center, for an interesting centerpiece on your table. 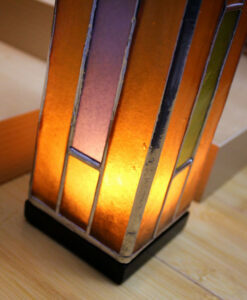 Stained glass tops sold separately. 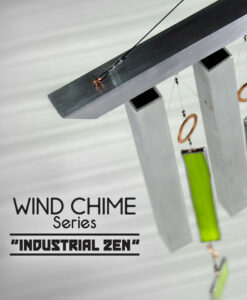 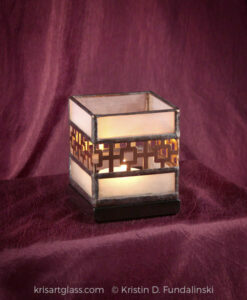 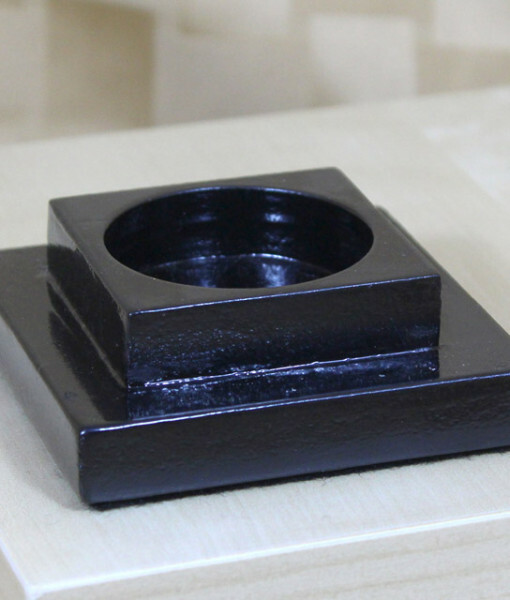 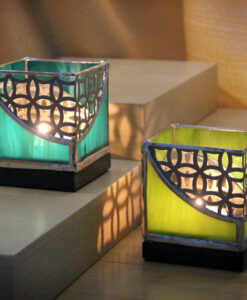 This product is only to be used with tea light candles, that are housed in either a metal or plastic tea light holder. 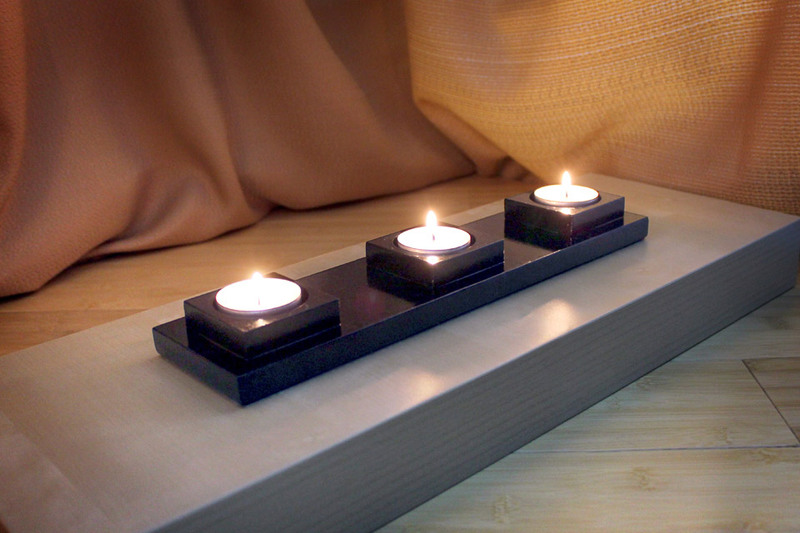 This product is not for votive candles.